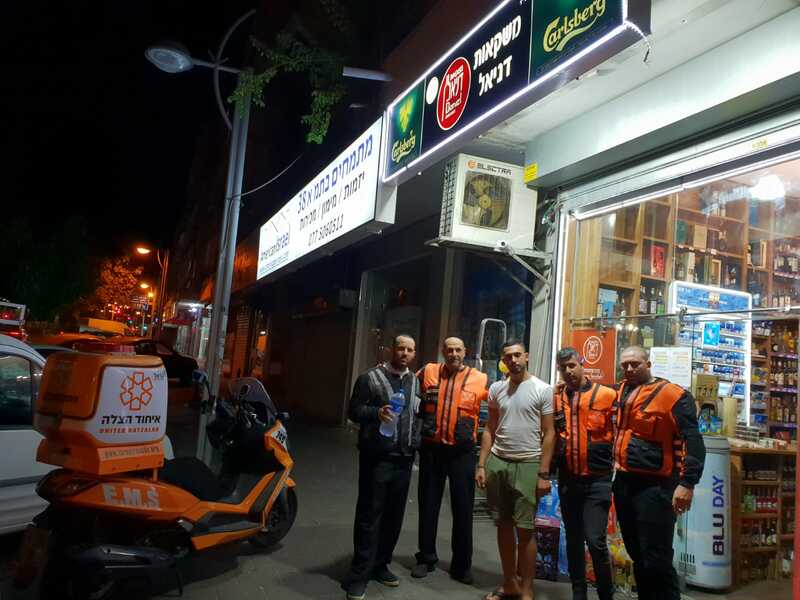 Last Tuesday United Hatzalah volunteer first responders were called to an emergency on Dov Hoz street in Holon. Five volunteers arrived at the scene in order to assist in an emergency where a person had lost consciousness. The volunteers succeeded in reviving and stabilizing the man and prepping for transport to the hospital. After the ambulance left with the patient, the first responders headed to a nearby store in order to purchase some drinks to refresh themselves. When they arrived at the cash register of “Daniel’s Drinks” (Mashkaot Daniel) located nearby, the store owner refused to take any money and asked the volunteers to accept the drinks on behalf of the residents of the neighborhood who appreciate the hard work and self-sacrifice of the volunteers. “You do holy work that helps all of us and you do it for free. These drinks are the least that I can do to help you on your mission of saving lives,” the store owner told the volunteers. This entry was posted in Uncategorized and tagged Daniel's Drinks, Emergency, EMS, EMT, first responder, Holon, Israel, United Hatzalah. Bookmark the permalink.